Facial hair is one of the most common problems among women; especially those women with darker complexions therefore facial hair are prominent on their faces. In some cases, there are also women who possess pale skin have the same problem. But their facial hair appear visible only when exposure to sun. I am sharing my great experience towards the removal of facial hair within few days. The ingredients at my home were good enough for me to solve this problem. You can get the benefits as well from the recipe shown below. Put all the ingredients in the blender and blend them until it becomes like a smooth paste. Apply it on the areas where the facial hair are appeared. Let it dry for at least 20 minutes then wash it off with warm water. Follow the remedy 3 – 4 times in a week to get the desired result. This is an inexpensive way to make your homemade sugar wax using the common ingredients such as water, sugar, lemon and honey. It is an effective way to remove the unwanted hair on the legs and arms. The procedure is a little bit painful as it is just similar to the method of plucking and waxing done in the beauty salons. Take a small bowl and add sugar, lemon and honey. Mix the ingredients well together. In a vessel, heat the mixture for about three minutes as to make it smooth and like a freely flowing paste. If you see the paste is little thick, add some amount of water and stir well. Allow the mixture to cool at room temperature. First clean the body parts where you want to remove the unwanted hair then dust some corn flour over them. Now apply the warm mixture using spatula on the unwanted hair in the direction of hair growth. Cover the whole area with the waxing strip and rub it gently to make the wax stick to the hair properly. Pull the strip firmly in the opposite direction of the hair growth. Repeat the procedure if you need to do again. You can either take 2 tsp of brown or white granulated sugar with one tsp of each of honey and water. Mix it gradually and heat it in a microwave or on a stove for just half a minute. After half a minute you will see bubbles so the mixture will turn brown. Keep aside to cool down completely. Apply the cold wax on the area where you want to remove the hair using the plastic spatula. Place a medium strip of jeans cloth over the sugar wax and rub it gently to make it smooth and settle down on your hair in the direction of the hair growth. After few second of rubbing, rip it off in the opposite direction of hair growth. Repeat the procedure if required. As we know that the egg white has a sticky nature like sugar, lemon and honey mask. When you apply these ingredients on your face, after drying out you can easily pull it off. Therefore, it helps in pulling out all the unwanted facial hair. You will experience a bit of painful sensation while pulling off the dried egg mask. Separate the egg white from the yolk while breaking one egg. Now add corn flour and sugar in it then stir well to make a smooth paste. Apply this face mask all over your face then allow it to dry completely for approximately 20 to 25 minutes. While drying, it will become thick in consistency so you can easily peel it off with your own hands in such a way that all the unwanted facial hair is pulled out. 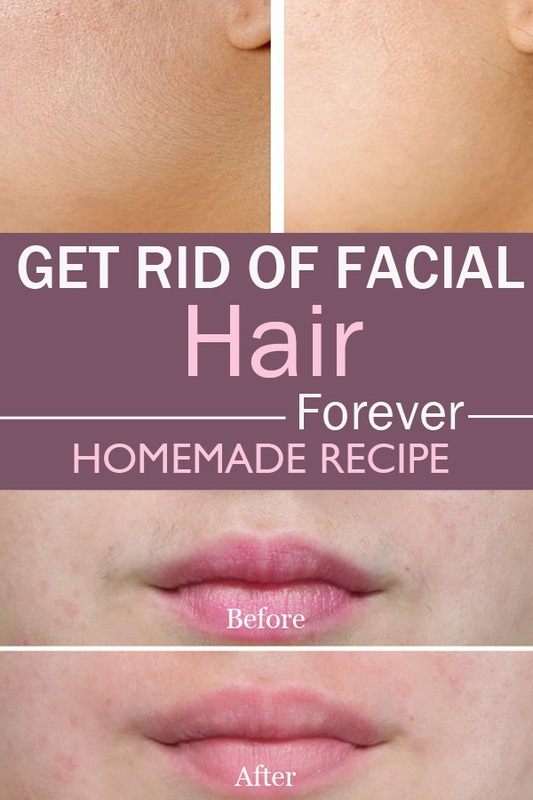 Repeat the method whenever you need to remove the unwanted facial hair. 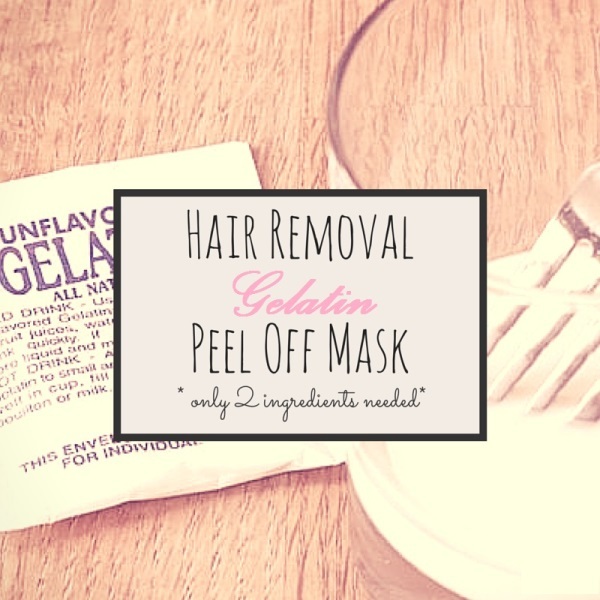 The best way to pull off facial hair is with gelatin peel off mask that you can easily make at home. You can add lemon juice for suppressing the bad smell of gelatin. Make sure to keep your eyebrow hair and eyes away from this mask. Mix gelatin, milk and essential oil or lime juice in a bowl. Microwave the mixture for 15 seconds. Apply this warm mixture immediately on your face. As gelatin acts very fast so you need to apply it all over your face or on just the areas where you want to remove your hair. Gelatin is too hot; let it set for 2 minutes before applying on the face. Make sure that it not reaches to your eyes and eyebrows. Gelatin will take 15 minutes to dry out completely. Once it gets dries, peel it off from your face. Along with hair, the blackheads will also be removed. If it is accidently put on your eyebrow hair, wet your fingers and rub your eyebrow. If it does not work, use a little warm water to take it off your eyebrows. This treatment is commonly preferred in India and Pakistan in order to get rid of the unwanted facial hair. Alum can be available to you in the form of powder in the market. If you find the alum rock then you will have to grind it to convert it into the powdered form. In a small bowl, add alum powder and rose water. Stir the mixture with the help of spoon until the rose water is completely dissolved in the alum powder. Soak a cotton ball by dipping it in the mixture. Apply the mixture on the unwanted hair. Sit for some time until the mixture is dried off then apply the mixture once again. You would have to repeat the process for an hour. In case of having sensitive skin, you should stop the process after 20 minutes. Wash it off then dab some sesame or olive oil in order to make the area moisturized. Repeat the method for four times in a week to completely get rid of unwanted hair. Did you see results after first treatment? you will see good result after two weeks. Do you have to keep up with it so it doesn't grow back? it will grow back but less...slowly it will be removed permanently. Does it grow back quick? Thinner? Will it get rid of the hair forever? you can apply, then you will see the desired result. Am i suppose to apply it on the hair? Or on the wanted area after i remove the hair? Silly question....raw or cooked oatmeal? raw oatmeal (coarsely ground) form. Do it remove coarse hair on chin? yea slowly work on it. Do I have to remove hair before using it? do i have to remove the facial hair before using the mask? Does this only work on facial hair? Does hair have to be certain length? Remedy will work small length of hairs. Can we use oats? Does it work for other parts of your body? Will this irritate my skin? no, if any feel of itching, then apply little quantity of coconut oil 2 times in a day. Only for facial hair? Body hair? Like arms or belly? I have extremely sensitive skin, will it make me break out afterwards? if you have extremely sensitive skin, then after that you take some coconut oil and rub it on your skin. good practice is you make new every time. do you have to keep the hair on the face while doing this or can you remove it still while doing this? slowly your unwanted hair will be removed. Did you shave after using this paste ? you stated above in a previous comment the hair has to be a certain length. how long should the hair be? Is it alright for sensitive skin? yes, if extremely sensitive skin then after that apply some coconut oil or face moisturizer. you will get good result after one month. Can I use it without oatmeal? not for the pubic hair, it will use for unwanted hair only. I have some coarse hair where I shaved over the years will it work on that ? Can I use it on coarse hair. Spots I have used the razor on? it will work on unwanted facial hair or body hair also. Can this work on your legs too or only face.? -thanks!! 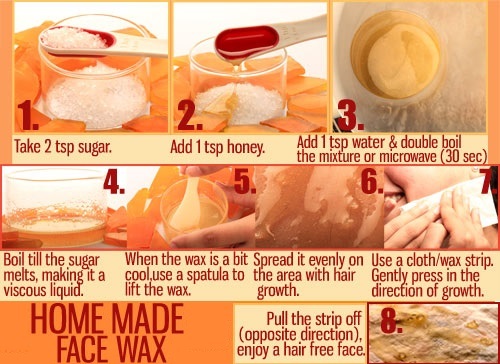 You can use Sugar wax method and Sugar honey lemon mixture on your legs too. Can you save the left over mixture for the next day ? 20 minutes at least to dry it completely. Will the hair just fall out or dissolve? After use, does it cause hair break out? Bcoz I heard that trying to get rid of unwanted facial hair can trigger more hair to reappear! shaving with razor cause more hair to reappear, but you can apply these remedies they will not grow more hair, these remedies will help to reduce hair growth. This is a painless process? The hair just falls out? hair will be removed with less pain. Can this remedy be used safely on children?